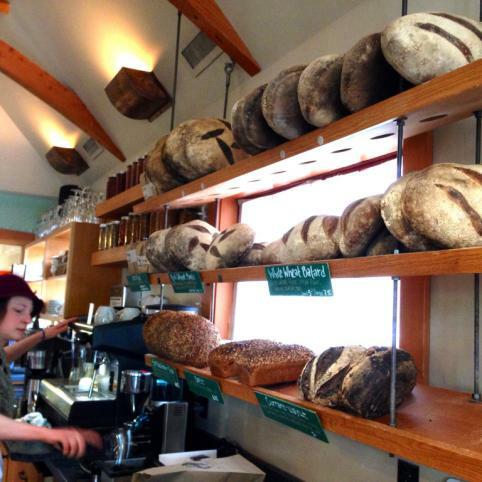 Background image of Emily Francis, an employee at Tabor Bread, moves fresh loaves from a basket onto their wooden display racks at the front of the bakery. This year, Edible Portland will host its 7th annual Local Hero Awards. Every year, after a public nomination process, we choose the top four standouts in six categories — farm, restaurant, food artisan, beverage artisan, nonprofit/educator, and retailer — and invite the public to vote. It’s our chance to honor businesses that are changing the face of food: transforming how they source ingredients, care for their animals and land, treat their workers, and engage with their communities. But we’ve realized that the awards are only as meaningful as the level of people’s engagement in getting to know the nominees. Going to a survey site and voting gives a flash of information. Attending the annual feast where we announce the winners gives a flash of information. 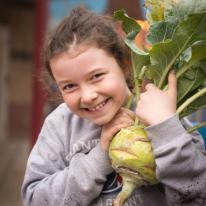 But we want to create an opportunity for people to sink their teeth into what it means to be at the forefront of social enterprise in local food. In April, PSU grad student Karen Lickteig raced all over town to sit down with all of this year’s 24 nominees and record their stories. Four days a week, we’ve been publishing her interviews, and it’s become a really personal and heartening way to meet people who are often out of the limelight. This year, before our community launches in to vote for their local food heroes on May 9, we invite you to get a much closer look. For a taste, we’re including excerpts from the four nominees in the food artisan category below. Once you read all of the profiles, it will be a herculean task to cast your vote, but please do, and spread the word! On June 12, Edible Portland and Ecotrust are throwing summer’s first barbecue — with a keynote by Nell Newman of Newman’s Own Organics — to honor these outstanding members of our local food community, announce the winners, and feast. All proceeds support Ecotrust’s work to build a resilient regional food system. The menu is going to be off the charts. Don’t miss this opportunity to celebrate with all of these heroes and eat the best barbecue of your life. 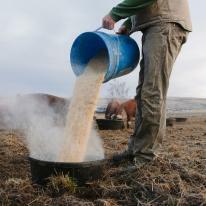 How are you involved in the regional food system and with other local farmers? Paul Fuller: Because of my mechanical ability, we’ve been able to pull together all the boilers and kettles and labelers and everything else – mostly used equipment. We do a lot of co-packing, and that’s our specialty. We like working with farmers. We work with them on their recipes; we have a label printer. We make whatever they can think of that can be put in a jar. For our own products, we go out and work with local farms as well and try to find things that are grown in the Northwest. For small to medium farmers to stay afloat, they need to use all of what they make and grow, so we’re able to help them with that. They can sell their #1 tomatoes at farmers’ markets and stores, but for every #1 tomato, there’s a #2 tomato. And we’ve been able to buy those tomatoes and use them. 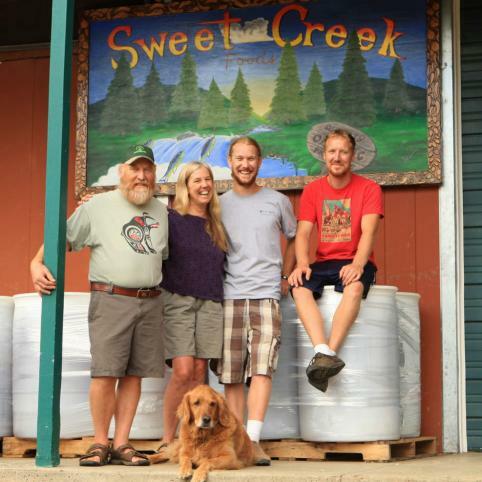 Read the full interview with Paul Fuller of Sweet Creek Foods. 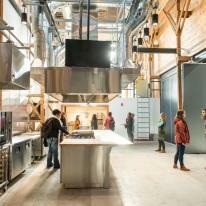 How does Salt & Straw work to build community? Kim Malek: There’s nothing more important to me than our team, and they have surpassed my wildest dreams. People will often ask if I’m amazed that all this has happened, and what I’m amazed about is that these people who work at Salt & Straw have made this happen. My proudest moment was when, not quite a year after opening, we were able to offer health insurance, and we expanded a paid time off program. Beyond anything, our number one goal is to create a great place to work. 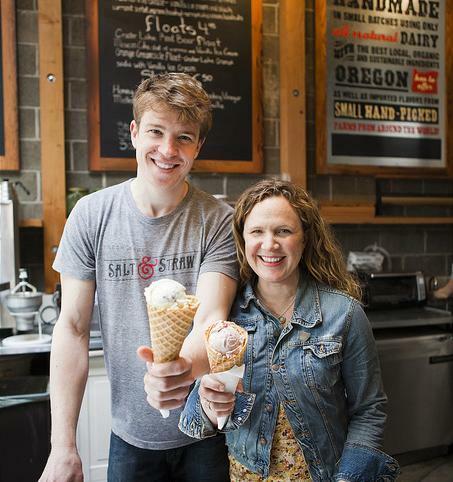 Read the full interview with Kim Malek of Salt & Straw. Do you get a lot of questions about your different types of breads? Annie Moss: There is a whole vocabulary around bread and grain that people simply don’t have. Grains are different – they have different flavors, characteristics and levels of freshness. The questions that people ask often lead to conversations and education. The oven and the mill here in the bakery definitely enter into the conversation, and so do the different names of the breads – for example the difference between red wheat and white wheat. There are many ‘seeds’ around the shop for people to pick up on and ask about. Read the full interview with Annie Moss and Tissa Stein of Tabor Bread. What are some of the guiding concerns for your business, besides making a delicious product? Duncan Berry: The rural coastal environments are very depressed economically. So we’re trying to bring value to the rural areas as much as we can. 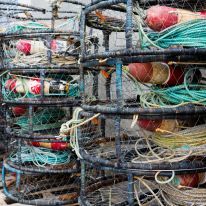 We’re opening a processing facility on the coast this summer, which will allow us to maintain direct relationships with vessels, have some advantages on product development and quality, and ultimately bring year-round employment. We are also concerned about the seafood species. Currently there are 140 species that are landed in the ports, but only seven of them are sustainable, so we choose to feature only those species. We believe that what we will do over time is not only keep value in the local communities but protect those other species by diverting pressure away from them. We’re working for our investors, our employees, species that can’t speak with human tongues, and rural community neighbors. 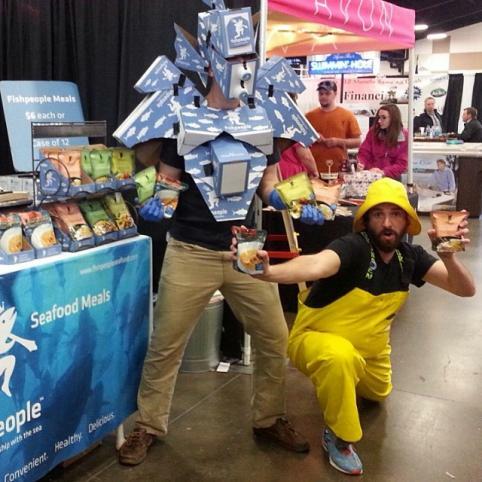 Read the full interview with Duncan Berry of Fishpeople.